Sanja Vučić was born on August 8, 1993 in Kruševac, Serbia. Since she was a child, she has been expressing her talent for music. She finished both primary and secondary music school in Kruševac, at the department of opera singing. During her studies, she sang in various ensembles, ranging from the band performing ethno music "White Fairies" (Bele vile), to the town jazz orchestra, to the church choir "Saint Prince Lazar" (Sveti knez Lazar), with which she toured Hungary, Belarus and Poland. Furthermore, she attended singing master classes held by the famous opera singer Katarina Jovanović. She tried enrolling at the Faculty of Music in Belgrade and had no success, which she does not consider to be a great setback, because perhaps precisely that led her to the "Eurovision Song Contest 2016". As a singer, Sanja can "swim" through genres of all kinds. "For as long as I can remember, I have been testing my vocal abilities and challenging myself to do the impossible. I get around quite well with my dancing skills too, mainly in dancehall and afrobeat", she says. 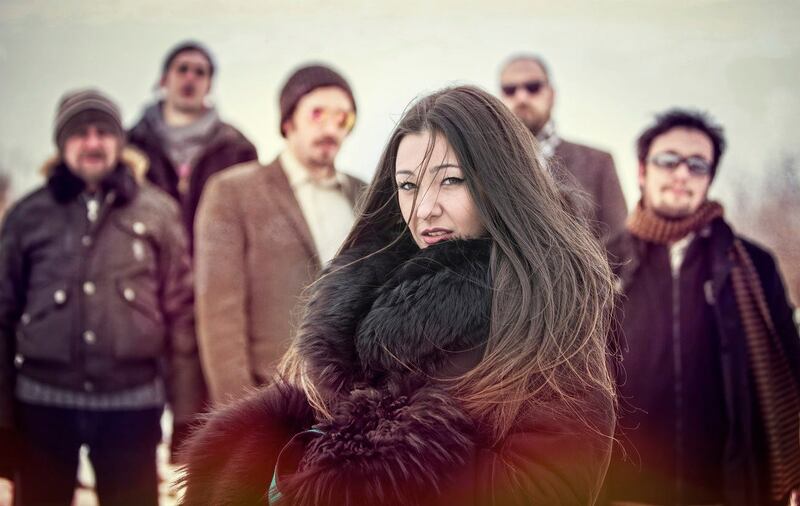 Since April 2012, when she joined a crossover band called "ZAA", as a permanent member, she has performed at more than 100 concerts around the region (Exit, Love Fest, Nishville, Arsenal Fest, Overjam Reggae Festival in Slovenia, Lake Fest in Nikšić, etc). As a member of "ZAA", she has had one album called "What About" recorded (2014). "My entry into the ZAA was, without exaggeration, the most positive thing that happened to me. I've got into the band as a fiery fan who follows the work of the band from the beginning and it was a dream come true. ZAA is part of my life, with these men I grew up and formed my personality for the last three years. From hyperactive girl, I think I've become a frontman in the true sense of the word. Day after day, I try to not to disappoint these people and learn from them as much as possible". Band ZAA was founded in the end of February in the year 2008 in Krusevac. They have performed in cities throughout the former Yugoslavia, as well as in Austria, Czech Republic and Hungary. From the critics they were rated as concert attraction, and they are recognizable by their original and energetic performances, which are characterized by distinct dance rhythms in combination with skillful improvisation. And regarding their unique sound, it's characterized by authentic musical genres which represent the crossover between the variety of styles from ska music and dub, to post-rock jazz and punk, and that is what makes ZAA unique. In 2014 Vučić has released a single "Underground Riot" with metal band YOX. Also, Sanja is working with numerous authors and musicians as a studio singer for radio and TV jingles, advertisements and corporate videos. Sanja currently lives in Belgrade, where she attends the Faculty of Philology, Department of Arabic Language and Literature. She speaks English, Italian, Spanish and Arabic. Her favourite music genres are r' n' b, hip-hop, soul, jazz, reggae, afrobeat, eastern oriental music, grunge, etc. Vučić was officially announced as Serbian Eurovision 2016 entrant on 5 March 2016 and presented to the local media at the press conference of RTS on 7 March 2016 in Košutnjak, Belgrade. At the Eurovision Sanja Vučić will perform the song "Goodbye" (Shelter), written and composed by Ivana Peters (from bands Negative and Tap 011), which is devoted to the battle against violence against women. Serbian version of the song was recorded as well and is titled "Iza osmeha". The arrangement for the symphony orchestra was made by Ivan Ilić, Conductor of Big Band RTS, and programing by Uroš Marković. Ivana Peters says: "We needed to restrain Sanja's voice, because it can be much bigger than what the song requires". "Telegraf" newspaper reported that Ivana was invited originally to represent Serbia herself, but had to give up due to her participation in "Tvoje lice zvuči poznato" (Your Face Sounds Familiar). Music department of RTS lead by chief editor of entertainment programming Olivera Kovačević, Dragan Ilić and Jelena Vlahović has listened to the proposed candidates and eventually have chosen Sanja. Both versions of the song were presented in a show Pesma Srbije za Evropu (Serbia's Song for Europe) on 12 March 2016. "Eurovision is an excellent opportunity for me to widen my artistic horizons, and to work with people I've been admiring for many years. I hope it will open new doors for me in the music industry, so I can show to the wider audience that alternative music can be inspiring and a hell of fun", says Sanja. "First of all, I'm so thankful for the amazing support in this journey I received so far. I've been chosen to represent my country in the Eurovision Song Contest, without being a well-known artist. Also the music I create is somewhat non commercial, and in spite that fact, the organizers have seen the potential and given a chance to a young and perspective artist, and I hope to do so in many years to come. I really hope you are going to like our song, and that you will recognize that deeply moving emotion we are trying to express through it," Sanja Vučić ZAA said. "The initial idea was to make people feel the power of the song and think about its message. Lyrics are quite strong as well. I hope you'll feel some goosebumps while listening to it"
Ivana Peters (42) is a composer and singer from Belgrade. She has been in the music world in the Balkans since she was a child. Having played the piano in the primary music school, she also finished secondary music school. At the age of 15, she started singing in a hip-hop group named Who Is The Best. In 1994, being less than twenty years old, she performed at the Beogradsko Proleće (Belgrade Spring Festival), drawing attention to herself by her exceptional performance. Soon she joined the group TAP 011, one of the most successful pop dance groups in Serbia in the 90s, having many radio chart-busters. Afterward, she left the group and formed her rock band Negativ (Negative), with which she has released three albums until now. She became an accomplished author by composing and writing lyrics for most of the group's songs. Ivana Peters also took part in the national selection in 2004 with the song Zbunjena (Confused). Currently she is working in the studio on her debut solo album. "Violence in any form is unacceptable for me. This song is about destructive love, which turns into a psychological and physical violence at some point. I would like people to recognize it and to start to talk about it. They should not close their eyes. They should react and do something," Ivana Peters, the author of this year's Serbian entry, told Eurovision.tv. "We all have to find the savior in ourselves. The most important thing is to recognize the strength that you have as a being. The strength that brings love and peace"
In the last couple of days Belgrade was visited by the team of Swedish broadcaster SVT to record a postcard with Serbian representative Sanja Vucic. Filming took place at the Faculty of Philology, where Sanja is studying Arabic language, Tuckwood cinema and Kalemegdan fortress. Our next guest at the interview sessions is the representative of Serbia Sanja Vučić. "It is a great honor being the Eurovision representative, and it has always been in our country, for every performer and artist, and excitement is unexplainable. I believe that I will truly start to believe what is happening to me after it's over", singer says. She explains she got a proposal after the music directors of the RTS saw her in a music show called "Tri boje zvuka" (Three colors of the sound). "I guess someone liked what I was doing and the way that I do it, and thought I would be a good choice. It is mild to say I was surprised, I was mind blown, amazing feeling". At the Eurovision Sanja will be performing song "Goodbye (Shelter)" which she describes as "powerful song, full of emotions, made to be taken seriously". The song was recorded in both English and Serbian versions, however, at the Eurovision it will be performed in English. "Ivana Peters, the author of the music and lyrics, had the idea, since the song brings a quite strong emotion with itself, to make it more approachable. The song tells a story of a woman who is abused, and it is important to make the message louder and more clear, and having in mind that English is somewhat an universal language, it is the way to go". Sanja adds they had several offers to produce the song in other languages, and it may also happen if time permits. There will be no further music video produced, as Sanja explains: "the way we presented the song is our vision of a music video, and we do not plan on making another". The preparations of the stage presentations have already begun. "We already have an idea of how it will look, and from this basic stage, I can't tell you much, but I'm sure it will be majestic, and I hope you will like it. It will be done by a great team of people with a lot of experience, who are up for the challenge. I will have four backing vocals, they are amazing, talented girls with whom it will be a delight to sing and share the stage, and they are Lena Kuzmanovic, Jelena Djuric, Iva Pletikosic and Dunja Vujadinovic", explains Sanja. Lena Kuzmanovic and Dunja Vujadinovic performed last year with Knez, Dunja also performed and co-wrote English lyrics for Moje 3. "The outfit will follow the emotion and the message of the song, no doubt it will be the right outfit, we still haven't decided but I believe there will be some room for my suggestions as well". 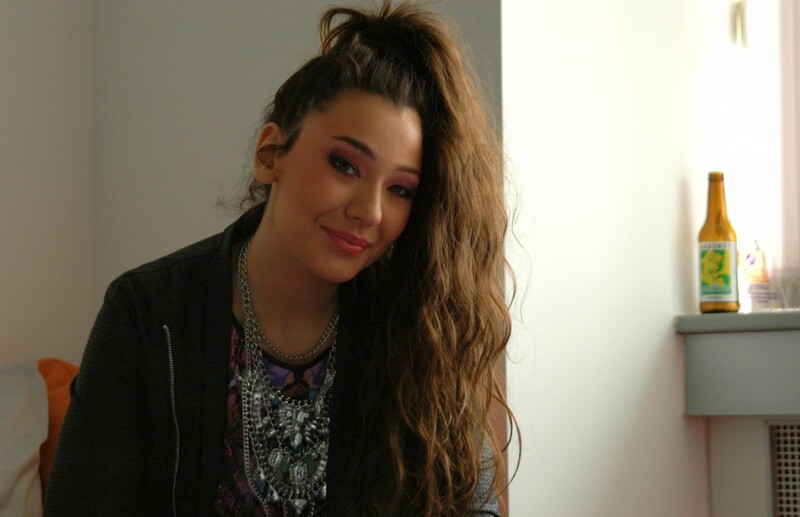 Speaking about her goals for the Eurovision, Serbian entrant says: "I don't like to think ahead, but taking in mind the quality of the song, and including the performance I will hopingly achieve, i am being optimistic. The most important thing is to get the message through". Asked on what is the most difficult part of the preparation process for her, Sanja responds: "I really enjoy every second of this period, and I haven't experienced a difficult time just yet, I do believe there will be some, and I am ready to take them on". 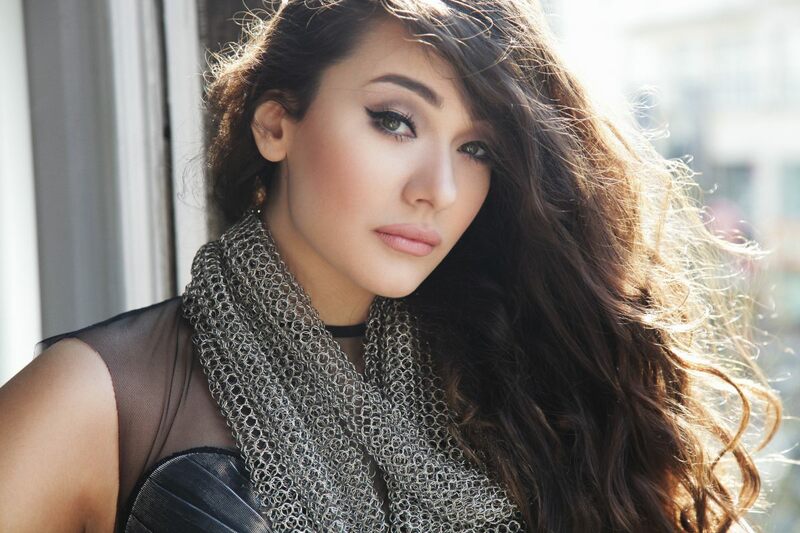 Sanja will be visiting Eurovision parties in Latvia, The Netherlands and will also travel to Austria. "I can't wait to meet all those amazing people and have awesome time there". Sanja says she has listened almost all of the competing songs and personally she really liked entries from Croatia, Georgia and Norway. "In general, all songs are amazing an unique in their own way, and I applaud the artists and the makers", she says. In one of previous interviews Sanja said her favourite Eurovision song is "Jan Jan" by Inga & Anush, and we informed her this is also the favourite song of previous Eurovision winner Måns Zelmerlöw as well. "What?!?! ", exclaimed Sanja. "I had nooo idea. Ahhaha , this must be a sign. I assure you this is a coincidence". Speaking about her favourite Swedish Eurovision entries, she says she can't decide between "Euphoria" and "Heroes". "Those are my two favorites, figures. ahaha". You can check full version of the interview on OGAE Rest of the World Facebook page. Serbian delegation will depart to the Eurovision Song Contest on 3 May. Duska Vucinic, head of the public relations and corporate image of the RTS, said that Europe already loves Serbian song and Sanja, which is indicated by the fantastic comments on the promotional tour that Serbian representative had in the previous month. Dragan Ilic, head of the delegation, said that it took a lot of effort to find such a representative, as Sanja Vucic. "It seems that the whole effort paid off in the end. 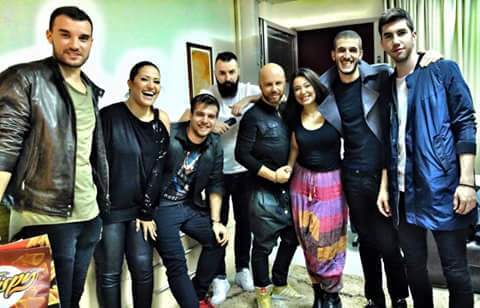 We have a brilliant artist, song, backing vocals and hope they will present Serbia in the best possible light". At the Eurovision stage Sanja will be joined by backing vocalists Lena Kuzmanović, Dunja Vujadinović, Jelena Đurić and Iva Pletikosić, and dancer Miloš Isailović, who for more than a month and a half were practicing on stage the performance directed by Marko Novaković. Find more information on the backing team of Sanja here. At the special reception, which was held in the lobby of the RTS, Sanja sang popular songs, Crazy in Love by Beyonce and Valerie by Amy Winehouse, as well as her contest entry Goodbye, proving once again why she is the right choice for the representative of Serbia. Surprise for the Serbian representative were representatives of Bosnia and Herzegovina, who came to support Sanja. Vučinić has wished a lot of success to the neighbors, adding that "our region still stands together and that we will be there as the best friends". To wish the success to the performer also came last year representative Bojana Stamenov. Earlier, representatives of Serbia, Bosnia and Herzegovina and Montenegro together attended Ami G Show, which can be seen here. Sanja admitted she had fears before going to the first promotional trip, however, it all went smoothly. "I must say that we all hung out and great time, and my best friend in those trips was the representative of Israel, Hovi Star. I hung out with a representatives of Bulgaria, Switzerland and various other people, " revealed Sanja Vucic. "This is an amazing experience for me, we are all different mentalities from different countries, but we have all made compromises. All contestants we have the same goal and we are in the same business, but also support each other and I like a lot of songs this year", said Sanja. Sanja at Xarabank show in Malta. Serbian representative at this year's Eurovision Song Contest, Sanja Vučić ZAA, met in Belgrade the Croatian representative Nina Kraljić. 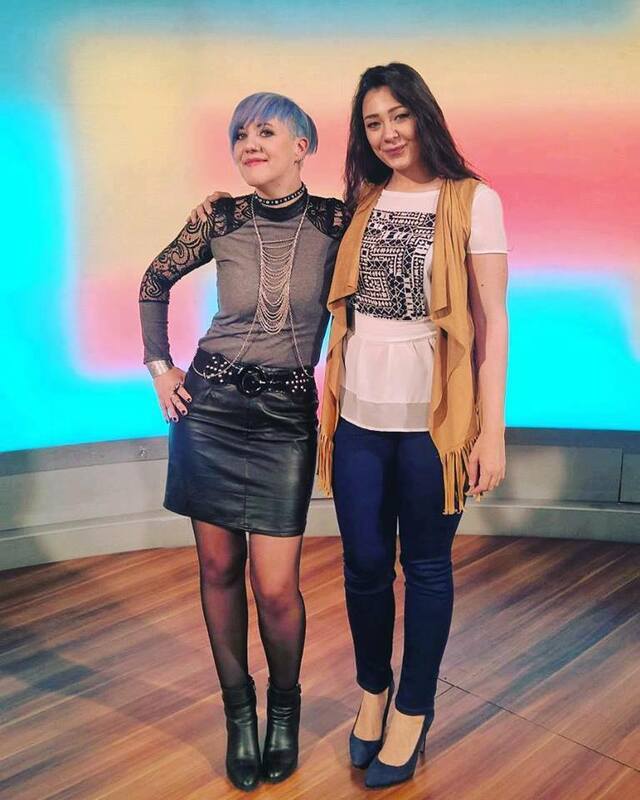 As part of the Eurovision promo tour, Nina was a guest of Morning program of RTS and performed there here song "Lighthouse". Belgrade is the first city outside the Croatia she has visited. Sanja and Nina exchanged their experiences and impressions, spoke about their preparations and wished each other success in the semi-finals of the Eurovision. Later Nina also made appearance on RTV Pink and you can watch it here. ZAA and Nina Kraljić hanging out in Belgrade. Sanja Vučić ZAA gave interview to MTV Adria. We publish some Eurovision related extracts of it. The first time they called me from the RTS was a month ago. Music editors have seen me on the show "Tri boje zvuka", they liked it and I got a call. In those days there was a lot of speculation about how everything will be organized, and then it turned out that they has selected Ivana's song which is great pleasure for me, because she is one of my role models, and also a Lion in the horoscope. The song itself I've heard two or three weeks ago, and it was only piano and Ivana's voice. I've immediately realized that this is it, this is my thing, no mistake, and I wanted to record the song so much. We've produced a demo, which then other people heard and were deciding about candidacy of the performer. Then we have produced the final version, which, I think, turned out to be quite good. And reactions to it have been great too. I followed the Eurovision intensively before 2010! We always with friends from the neighborhood gathered, watched and organized our vote. After that I stopped due to the obligations and became a bit less interested. Somehow I fell out of that track. But I've always followed what is our entry, and what is the winning song. But there always are songs that I remember, for example Armenian 2009 entry Jan Jan by Inga & Anush, half in English and half in Armenian, it was great! Since recently I've started studying Arabic, I've also got connected with oriental music and this culture, I also remember great song "Every Way That I Can" which brought victory to Turkey. ZAA band members were very supportive of my Eurovision journey. This is an opportunity for us to promote our music and our genre. Our music in both our country and the whole region, in fact is considered as an alternative. So this is a great way to promote ourselves! We have for years tried to somehow draw media attention to us, as much as possible, but we never got it on the same level as bands that play commercial music. So I think we've done well in this round. Eurovision is still a lot of pressure for me. Simply, I girl from the underground, I'm not used to such a big attention even though I'm doing quite well in this situation. Although, now I get attention from anyone I want and I do not want, but I have a team to help me with that. Nobody warned me what to expect, because everything happened so quickly. Everyone said, "Oh, get ready, get ready," but no one told me exactly what to prepare. I was sitting down, and all of a sudden everyone started jumping around me, hair, makeup, outfits. Come on people, I think I can put the shoes on myself. Everything is OK. And constantly they all say: "Relax, relax, you're a star". I just want to sing. Let me sing. Lasciatemi cantare! I think I'll get used to it. I want to work on myself, but I do not want to become a person who I don't want to be. Before all of this, the band ZAA achieved everything that I have dreamed of in musical terms, and in the field of music that I love the most. And all this now... for the moment I think it's a dream, I can't yet realize if it is serious. I'm still getting used to the fact that I, Sanja Vučić from Kruševac will be going to Eurovision in Sweden. So far my biggest gigs were in front of six, seven thousand of people. For me it doesn't make a big difference, because no matter how big is the crowd, you see from the stage only the first few hundreds. I can't even imagine how it will be watched by millions on TV. But I'm performing in front of an audience since the age of 13 and long ago I've overcome stage fright. It is important to be concentrated in order to do what I do in the best possible way. TV special "Pesma Srbije za Evropu" will be aired on Saturday, 12 March, 21:00 on RTS 1. In the show, which was filmed on Monday shortly after the official press-conference, TV viewers will be able to hear premiere of the song "Goodbye", with which Sanja Vučić ZAA will represent Serbia at this year's Eurovision Song Contest. RTS this year involved both it's songwriting and production teams, and Sanja Vučić will perform with the support of members of the Symphony Orchestra and Big Band RTS. By such a choice, RTS provides not only declarative, but also direct support to the young and talented people of Serbia. Viewers of the program will be able to learn more about Sanja, her dreams, desires and fears. 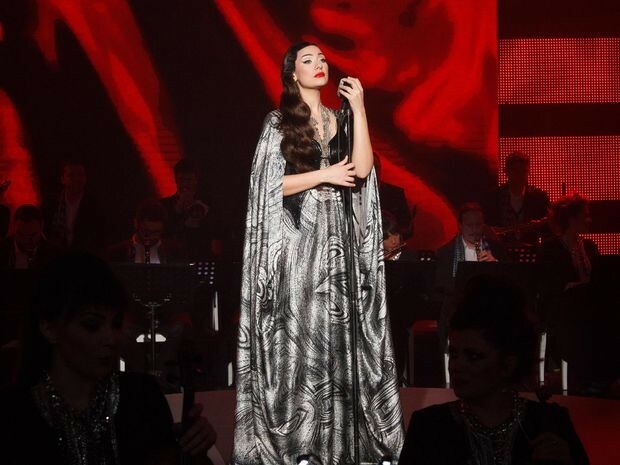 Her huge talent and magnificent voice will not leave anyone indifferent. 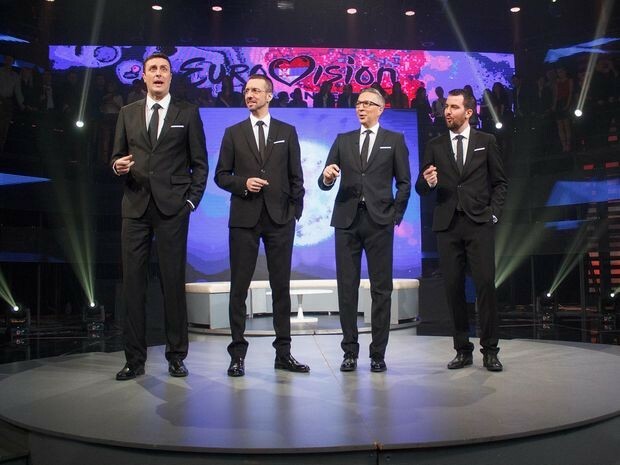 Four hosts will be responsible for the mood in the studio - Slobodan Šarenac, Vlada Jelić, Dejan Pantelić and Milan Popović. Special guest of the show Seka Sablić. You will also hear what will Serbian representative, who is a student of the Faculty of Philology in Belgrade, say to the fans of the Eurovision Song Contest in Portuguese, Arabic, Italian, French and English. During the programme, Sanja also has performed "I'd rather go blind" by Etta James as well as a medley of songs in various languages and folk song "Preleteše ptice lastavice". "Telegraf" newspaper reports today that at the Eurovision Sanja Vučić will perform the song "Sklonište" (Shelter), which is devoted to the battle against violence against women. The song will be performed in English language. It was written by Ivana Peters from "Negativ" band. "Telegraf" adds that Ivana was supposed originally to represent Serbia herself, but had to give up due to her participation in "Tvoje lice zvuči poznato" (Your Face Sounds Familiar). Serbian representative will be revealed officially on 7 March, and his song on 12 March. Sanja Vučić with the song of Ivana Peters seems to be frontrunner in the race to represent Serbia at the Eurovision Song Contest, reports today newspaper Blic. Singer of the band "Zaa" is rivalled in the race by Luka Ivanović performing under stage name Luke Black, female band Frajle and folk band Balkanika. Spokesperson for RTS Duška Vučinić, stated to the newspaper that there still are a few names under consideration and it is still early for forecasts. According to RTS schedule, Pesma Srbije za Evropu show will be aired on 12 March at 21:00 CET. Serbian entrant for 2016 Eurovision Song Contest was chosen internally, Dragan Ilic, Head of Serbia's delegation told Eurovision.tv. "This year we will introduce a completely new face, a young and talented artist. We believe that it's going to be a big surprise for the Eurovision fans in Serbia and abroad". RTS had a different approach, this time, Ilic explained. "The decision was made by RTS music editors, and this method helped us to choose and send someone new. We think that our representative will represent Serbia in Sweden in a best possible way.". All available resources that Serbian public broadcaster had were used to support this year's Serbian representative. "It is different this year. Because for the first time, we mobilized everyone at RTS, including the producers, authors, and the orchestra. We used all the resources we had to produce the song that Serbian entrant will perform in Stockholm - on our own," Dragan Ilic added. The Serbian representative will be revealed on 7 March, 13:00 local time at a special RTS press conference. Санья Вучич родилась 8го августа 1993 года в Крушеваце, Сербия. С детского возраста она демонстрировала свой музыкальный талант. Она закончила начальную и среднюю музыкальные школы в Крушеваце, отделение оперного пения. Во время своей учебы она пела в различных ансамблях, начиная от этно-музыкальной группы "Беле виле", до городского джазового оркестра и церковного хора "Светли кнез Лазар", с которым она выступала в Венгрии, Беларуси и Польше. Также она посещала уроки вокала известной оперной певицы Катарины Йованович. Она пыталась поступить на факультет музыки в Университете Белграда, но ей это не удалось, о чем, в прочем, Санья не жалеет, ибо это в итоге привело ее на конкурс Евровидение 2016. "Сколько я себя помню, я всегда тестировала свои вокальные возможности, и делала себе самые невозможные вызовы. Я также весьма неплохо продвинулась в танцевальных умениях, в основном в dancehall и afrobeat". В апреле 2012 года Санья присоединилась в качестве постоянной вокалистки в кроссовер группе "ZAA", и с того времени выступила с ней на более чем 100 концертах по всему региону (Exit, Love Fest, Nishville, Arsenal Fest, Overjam Reggae Festival в Словении, Lake Fest в Никшиче и т.п.). В составе группы "ZAA" она записала один альбом - "What About" (2014). "Мое вступление в состав ZAA было, безо всякого преувеличения, самой позитивной вещью, что со мной случилась в жизни. Я попала в группу как преданная ее фанатка, которая следила за ее творчеством с момента основания, и петь в ней всегда было моей мечтой. Теперь, ZAA - это часть моей жизни, с этими парнями я росла и формировала свою личность последние три года. Из гиперактивной девочки я стала фронтменом группы в настоящем понимании этого слова. День за днем, я стараюсь не разочаровать этих людей, и научиться у них всему, что возможно". Группа ZAA сформировалась в конце февраля 2008 года в Крушеваце. Коллектив выступал не только в различных частях бывшей Югославии, но и в Австрии, Чехии и Венгрии. Концерты группы всегда привлекали внимание критиков, и отмечены оригинальными и энергичными выступлениями, характеризуются необычными танцевальными ритмами, которые совмещены с искусной импровизацией. Уникальное звучание группы характеризуется тем, что ее музыкальный жанр представляет собой сплетение между ска музыкой и дабом, пост-рок джазом и панком, и именно это делает ZAA уникальным коллективом. В 2014 году Вучич также выпустила сингл "Underground Riot" вместе с металл-группой YOX. Санья также работает с различными авторами и музыкантами как студийная вокалистка для записи радио и ТВ джинглов, рекламных роликов и корпоративных видео. В настоящее время она проживает в Белграде, где учится на факультете Филологии, отделении Арабского языка и литературы. Она владеет английским, итальянским, испанским и арабским языками. Ее любимые стили музыки - r'n'b, хип-хоп, соул, джаз, регги, афробит, восточная музыка, грандж и т.д. Вучич была официально объявлена представительницей Сербии на Евровидении 2016 5го марта, и представлена местным СМИ на пресс-конференции, прошедшей 7го марта 2016 в Кошутньяке, Белград. На Евровидении Санья Вучич исполнит песню "Goodbye" (Shelter), которую написала Ивана Петерс (солистка групп Negativ и Tap 011), которая посвящена борьбе с домашним насилием против женщин. Также была записана сербскоязычная версия песни под названием "Iza osmeha". Аранжировку для симфонического оркестра подготовил Иван Илич, дирижер Бигбенда РТС, а программинг - Урош Маркович. Ивана Петерс, автор песни, говорит: "Нам пришлось даже сдерживать голос Саньи, поскольку временами он более мощный, чем того требует песня". По сообщению газеты "Telegraf", первоначально, Иване было предложено представить Сербию самой, но она была вынуждена отказаться от этого права из-за своей занятости в программе "Tvoje lice zvuči poznato" (Один в один). Отдел музыкальных программ РТС во главе с редактором отдела развлекательных программ Оливерой Ковачевич, Драганом Иличем и Еленой Влахович прослушали возможных кандидатов и остановили свой выбор на Санье. Обе вресии песни были представлены впервые в телешоу Pesma Srbije za Evropu (Песня Сербии для Европы) 12го марта 2016. "Евровидение - отличная возможность для меня расширить мой художественный горизонт, поработать с людьми, которыми я многие годы восхищалась. Я надеюсь, что оно откроет для меня новые двери в индустрию шоу-бизнеса, чтобы я могла показать более широкой аудиториии, что альтернативная музыка также может быть воодущевляющей и очень интересной, говорит Санья. "Прежде всего, я благодарна всем за потрясающую поддержку на этом пути, что я уже получила. Меня выбрали представлять страну на конкурсе Евровидение, несмотря на то, что я не являюсь широко известной исполнительницей. И музыка, которую я создаю, в какой-то степени некоммерческа, но, несмотря на это, организаторы увидели потенциал, и дали шанс молодой и перспективной артистке, и я надеюсь, что этот тренд продолжится и в будущие годы. Я очень надеюсь, что вам понравится наша песня, и вы сможете распознать те глубокие эмоции, которые мы пытаемся выразить через нее", говорит Санья Вучич ZAA. "Первоначальной идеей было заставить слушателей почувствовать мощь песни и задуматься о ее месседже. Ее текст тоже очень сильный. Я надеюсь, что у вас пойдут мурашки по коже во время прослушивания"
42х-летня Ивана Петерс - композитор и певица из Белграда. Она активно участвует в музыкальном мире Балкан с самого раннего возраста. В музыкальной школе она изучала игру на фортепиано. В возрасте 15 лет она начала петь в хип-хоп группе Who Is The Best. В 1994 году, когда ей еще не исполнилось и 20 лет, она выступила на фестивале Beogradsko Proleće, и привлекла к себе внимание широкой публики. Вскоре она присоединилась к группе TAP 011 - одной из самых успешных поп-танцевальных групп Сербии в 90е годы, выпустившей множество радиохитов. После ухода из нее, Ивана сформировала собственную рок-группу Negative, с которой выпустила три альбома. Она является опытным автором и пишет музыку и тексты для большинства песен своей группы. Ивана Петерс принимала участие в национальном отборе на Евровидение 2004 с песней Zbunjena. В настоящее время записывает свой дебютный сольный альбом. "Насилие в любой форме неприемлемо для меня. Это песня о разрушающей любви, которая в какой-то момент превращается в психологическое и физическое насилие. Я бы хотела, чтобы люди признали его существование и начали открыто обсуждать эту проблему. Нельзя закрывать глаза. Нужно реагировать и что-то с этим делать", говорит Ивана Петерс в интервью Eurovision.tv. "Мы все должн найти спасителя внутри самих себя. Самое важное - признать силу, которая содержится в вас самих. Силу, которая приносит мир и любовь"
Следующая гостья интервью сессий - представительница Сербии Санья Вучич. "Для меня большая честь стать представительницей Сербии на Евровидение, как и для любого артиста в нашей стране, это необъяснимое чувство. Я полагаю, что я смогу поверить в то, что это все реально происходило со мной, только когда это все закончится", говорит исполнительница. Она рассказывает, что получила предложение после того, как редакторы музыкального отдела РТС заметили ее в шоу "Tri boje zvuka" (Три цвета звука). "Наверное, кому-то понравилось то, что я делала и как я это делала, и они подумали, что я бы стала хорошим выбором на Евровидение. Это очень мягко сказано, что я была удивлена, для меня это было просто сногсшибающей новостью, услышать ее - это абсолютно потрясающее чувство". На Евровидении Санья исполнит песню "Goodbye (Shelter)", которую она описывает, как "мощную песню, полную эмоций, которую надо воспринимать очень серьезно". Песня была записана в английской и сербской версии, однако, на Евровидении она прозвучит на английском. "Ивана Петерс, автор музыки и текста, захотела, поскольку песня сама по себе вызывает сильные эмоции, сделать ее более доступной. Песня рассказывает историю о домашнем насилии в семье, и для меня очень важно, чтобы этот месседж прозвучал как можно более громко и ясно, и, учитывая то, что английский язык является универсальным языком, мы решили пойти по этому пути". Санья говорит, что они получили несколько предложений записать песню и на других языках, и, возможно, это произойдет, если на это будет достаточно времени. Новый видеоклип на песню сниматься не будет, Санья объясняет это, говоря: "то, как мы представили песню - это уже и так, именно то, как мы представляем видеоклип, потому еще один мы снимать не планируем". Подготовка сценического выступления уже ведется. "У нас есть определенная идея, каким мы бы хотели его видеть. На данный момент я не могу пока раскрыть его секретов, но оно будет величественным, и, я надеюсь, вам понравится. Его создает команда, обладающая большим опытом, и они готовы к новому вызову. Со мной будут выступать четыре бэк-вокалистки, потрясающие, талантливые девушки, с ними очень приятно петь и находиться вместе на сцене. Это: Лена Кузманович, Елена Джурич, Ива Плетикошич и Дунья Вуядинович", объясняет Санья. Дунья Вуядинович и Лена Кузманович выступали в прошлом году с Кнезом, Дунья также пела и в 2013 году с Moje 3, которым она также написала текст английской версии. "Мое платье должно подчеркивать эмоции и посыл песни, и мы постараемся его подобрать правильно. Пока мы окончательно не определились, и я думаю, что также смогу предложить некоторые варианты". Говоря о своих задачах для Евровидения, представительница Сербии говорит: "Я не хочу загадывать вперед, но, принимая во внимание качество песни, и то выступление, которое мы планируем создать, я смотрю в будущее с оптимизмом. Самое важное для нас - донести до зрителей посыл песни". На вопрос о том, что является самым сложным для нее в процессе подготовки, Санья отвечает: "Я получаю удовольствие от каждой секунды этого периода, пока я не сталкивалась ни с какими сложностями, хотя, наверное, они и появятся в дальнейшем, но я готова встретиться с ними". Перед Евровидением Санья посетит вечеринки в Латвии, Нидерландах, а также побывает в Австрии. "Я не могу дождаться возможности встретиться со всеми прекрасными людьми в этих странах, и замечательно провести там время". Санья говорит, что прослушала практически все песни, принимающие участие в конкурсе этого года, и ей очень понравились заявки Хорватии, Грузии и Норвегии. "В общем, все песни замечательны по своему, я апплодирую всем исполнителям и их создателям", говорит певица. В одном из своих прошлых интервью, Санья отметила, что ее любимой песней Евровидения является "Jan Jan" Инги и Ануш, и мы рассказали, что это - также любимая песня Евровидения предыдущего победителя Монса Зельмерлёва. "Что?! Правда?! ", воскликнула Санья. "Я совершенно об этом не знала. Ахаха, наверное, это знак! Хотя, конечно же, заверяю вас, что это просто совпадение". На вопрос о том, а какая шведская песня с Евровидения ей нравится больше всего, Санья говорит, что не может сделать выбор между "Euphoria" и "Heroes". "Так что, пусть у меня будет два фаворита, ахаха". С полной версией интервью, на английском языке, вы можете познакомиться на нашей странице в Facebook. Делегация Сербии отправится на конкурс Евровидение 3го мая. Душка Вучинич, глава отдела связей с общественностью РТС, заявила, что Европе уже полюбилась песня Сербии, и сама Санья, о чем свидетельствую прекрасные комментарии по итогам промо-тура, который представительница Сербии провела в прошлом месяце. Драган Илич, глава делегации, рассказал о том, что было сложно подобрать для конкурсной песни исполнительницу, подобную Санье Вучич. "Мне кажется, что все усилия, в конечном счете, оправдались. У нас прекрасная певица, бэк-вокалисты, и надеюсь, что они представят Сербию с наилучшей стороны". На сцене Евровидения с Саньей выступят бэк-вокалисты Лена Кузманович, Елена Джурич, Дунья Вуядинович, Ива Плетикошич и танцор Милош Исаилович, которые уже более полутора месяцев репетируют сценическое выступление, созданное Марко Новаковичем. Подробнее познакомиться с командой Сербии вы можете здесь. На специальном приеме, прошедшем сегодня в лобби РТС, Санья исполнила популярные песни - Crazy In Love Бейонсе и Valerie Эми Уайнхаус, а также свою конкурсную песню Goodbye, вновь доказав заслуженность ее выбора в качестве представительницы Сербии. Сюрпризом для нее стало появление на приеме представителей Боснии и Герцеговины, пришедших поддержать Санью. Вучинич пожелала успеха соседям, добавив что "наш регион по-прежнему стоит вместе, и мы будет на Евровидении как лучшие друзья". Пожелать успеха представительнице этого года пришла и прошлогодняя конкурсантка Бояна Стаменов. Также, представители Сербии, Боснии и Герцеговины и Черногории приняли участие вместе в программе Ami G Show, которую можно увидеть здесь. Санья рассказала, что у нее была боязнь перед первой поездкой в промотур, но все прошло замечательно. "Я могу сказать, что мы все подружились и прекрасно провели время, моим лучшим другом в этих поездках стал представитель Израиля Хови Стар. Также я общалась с представительницами Болгарии, Швейцарии и других стран", рассказала Санья Вучич. "Это - потрясающий опыт для меня, у каждого из нас разный менталитет, потому что мы все из разных стран, но все равно мы могли достигать компромисы. У всех конкурсантов общая цель, и мы занимаемся одним делом, а также поддерживаем друг друга, и мне очень нравятся много конкурсных песен в этом году", сказала Санья. Санья на программе Xarabank в Мальте. В последние пару дней в Белграде побывала команда шведской телекомпании SVT, чтобы записать посткард с представительницей Сербии Саньей Вучич. Съемки прошли на факультете филологии, где Санья занимается арабским языком, в кинотеатре Таквуд и форте Калемегдан. Представительница Сербии на Евровидении Санья Вучич ZAA встретилась в Белграде со своей хорватской коллегой Ниной Кральич. В рамках своего промо-тура, Нина посетила утреннюю программу РТС, и исполнила там свою песню "Lighthouse". Белград стал первым городом за пределами Хорватии, который посетила Нина. Санья и Нина обменялись своим мнением и впечатлениями, поговорили о своей подготовке к конкурсу и пожелали друг другу успеха в полуфиналах Евровидения. Позднее Нина также побывала в гостях телеканала RTV Pink, и запись этой программы вы можете увидеть здесь. Санья Вучич ZAA дала интервью MTV Adria. Мы публикуем некоторые отрывки из него, которые относятся к конкурсу Евровидение. Первый раз мне позвонили с телеканала РТС около месяца назад. Музыкальные редакторы канала увидели меня на шоу "Tri boje zvuka", им понравилось мое выступление и они позвонили мне. В те дни было много вопросов о том, как будет все организовано. Потом оказалось, что они выбрали песню Иваны, что стало большим удовольствием для меня, потому что она для меня образец для подражания, и она также лев по гороскопу. Саму песню я услышала две или три недели назад, и тогда это было только фортепиано и голос Иваны. Я немедленно поняла, что вот оно, это совершенно моё, никакой ошибки быть не может, и мне очень хотелось записать ее. Мы сделали демо-версию, потом ее слушали различные важные персоны, которые решали о кандидатуре исполнителя. Потом мы спродюсировали итоговую версию, и мне кажется, что она получилась весьма удачной. Реакции на нее также были очень положительными. Я очень пристально следила за Евровидением до 2010 года. Мы всегда собирались с друзьями из округи, смотрели и организовывали наше голосование. После этого, из-за другой занятости я перестала его смотреть, и немного потеряла интерес. Как-то сошла с этих рельс. Но я всегда следила за тем, какая песня нас представляет, какая песня победила. Всегда останутся песни, которые я помню, например песня Армении 2009 года Jan Jan Инги и Ануш, наполовину на английском, наполовину на армянском, она была потрясающей! Потом, когда я начала изучать арабский, я также начала слушать восточную музыку и интересоваться этой культурой, я хорошо помню прекрасную песню "Every Way That I Can", которая принесла победу Турции. Участники группы ZAA очень поддерживают меня в участии на Евровидении. Это - прекрасная возможность для нас продвигать свою музыку и свой музыкальный стиль. Надо понимать, что наша музыка как в нашей стране, так и в регионе в целом, считается альтернативной. Потому для нас это прекрасный способ продвижения! Мы годами пытались хоть как-то привлечь к нам внимание СМИ, но никогда не могли выйти на один уровень с группами, играющими коммерческую музыку. Потому, я думаю, что сейчас у нас все идет правильно. Евровидение все еще накладывает на меня большое давление. Я, девушка из провинции, не привыкла к такому большому вниманию, даже несмотря на то, что я достаточно неплохо справляюсь с этой ситуацией. Хотя сейчас я получаю внимание от того, кого хочу и от того, кого не хочу, но в этом мне помогает моя команда. Никто не предупредил меня, чего ожидать, все случилось так быстро. Все говорили "Готовься, готовься", но никто не сказал мне точно, к чему готовиться. Я сидела, и вдруг вокруг меня начали все прыгать, прическа, макияж, костюмы. Люди, я думаю, что я способна сама обуть на себя обувь. Все в порядке. И они мне постоянно говорят: "Успокойся, успокойся, ты - звезда". Я просто хочу петь. Дайте мне петь. Lasciatemi cantare! Я думаю, что я привыкну ко всему этому. Я хочу поработать надо собой, но я не хочу стать таким человеком, каким я не хочу быть. Перед всем этим, группа ZAA достигла всего, о чем я мечтала в музыке, и именно в том стиле, который мне больше всего нравится. А сейчас всё это... мне еще кажется, что это все сон, я не могу поверить, что это все всерьез. Я все еще не могу поверить в то, что я, Санья Вучич с Крушеваца, выступлю на Евровидении в Швеции. На сегодняшний день мои самые большие выступления были перед шестью-семью тысячами зрителей. Для меня не играет большого занчения, поскольку неважно, как велика толпа, все равно со сцены ты видишь только несколько первых сотен. Я не могу даже представить, что на меня будут смотреть миллионы. Но я выступаю на сцене с 13 лет, и уже давно преодолела боязнь сцены. Для меня важно быть сконцентрированной для того, чтобы я делать то, что я делаю самым лучшим образом. Телепрограмма "Pesma Srbije za Evropu" выйдет в эфир в субботу, 12го марта, в 21:00 на телеканале РТС 1. В шоу, запись которого прошла в понедельник вскоре после официальной пресс-конференции, телезрители смогут увидеть премьеру песни "Goodbye", с которой Санья Вучич ZAA представит Сербию на конкурсе Евровидение этого года. В этом году телеканал РТС привлек к работе свои собственные команды авторов и продюсеров, и потому Санья Вучич выступит под аккомпанемент Симфонического Оркестра РТС и Биг-Бенда РТС. Своим выбором телеканал хочет подчеркнуть не только декларативную, но и прямую поддержку молодых и талантливых исполнителей Сербии. Зрители программы смогут узнать побольше о самой Санье - ее мечтах, желаниях и опасениях. Ее огромный талант и мощный голос не оставит никого равнодушным. За атмосферу в студии шоу будут отвечать четыре ведуших - Слободан Шаренац, Влада Йелич, Деян Пантелич и Милан Попович. Специальный гость программы - Сека Саблич. Вы также услышите, что представительница Сербии, которая учится на факультете Филологии в Белграде, сможет сказать поклонникам конкурса Евровидение на португальском, арабском, итальянском, французском и английском языках. Во время программы Санья также исполнила "I'd rather go blind" Этты Джеймс, а также попурри песен на различных языках и фолк-песню "Preleteše ptice lastavice". Сербская газета Телеграф, вслед за другим таблоидом - Блиц, также считает, что Сербию на Евровидении представит солистка группы ZAA Санья Вучич. Газета сообщает, что на Евровидении Санья Вучич исполнит песню "Sklonište" (Shelter), которая посвящена борьбе с насилием против женщин. Композиция прозвучит на английском языке. Песня была написана Иваной Петерс из группы "Negative". Согласно источнику газеты, Иване было предложено представить Сербию самой, но она была вынуждена отказаться от этого права из-за своей занятости в программе "Tvoje lice zvuči poznato" (Один в один). Представитель Сербии будет официально объявлен 7го марта в 13:00 местного времени на специальной пресс-конференции РТС. Конкурсная песня-же будет представлена в специальной программе РТС Pesma Srbije za Evropu 12го марта. Санья Вучич с песней Иваны Петерс является фаворитом в борьбе за право представить Сербию на конкурсе Евровидение 2016, сообщает сегодня газета Блиц. Солистке группы "Zaa" противостоят Лука Иванович, выступающий под псевдонимом Лука Блек, женская группа Frajle и фолк-группа Balkanika. Пресс-атташе телеканала РТС Душка Вучинич заявила газете, что в данный момент по прежнему продолжают рассматриваться несколько кандидатур, и пока рано делать какие-либо предположения. Согласно расписанию РТС, программа, Pesma Srbije za Evropu выйдет в эфир 12го марта в 23:00 Москвы. Представитель Сербии на Евровидении 2016 был выбран внутренним отбором, расказал глава делегации Сербии Драган Илич в интервью Eurovision.tv. "В этом году мы представим совершенно новое лицо, молодого и талантливого артиста. Мы надеемся, что это станет большим сюрпризом для поклонников Евровидения в Сербии и зарубежом". В этот раз телеканал РТС использовал иной подход, как объяснил Илич. "Решение было принято музыкальными редакторами телеканала РТС, которые помогли нам выбрать нового исполнителя. Мы считаем, что именно он способен представить Сербию в Швеции с наилучшей стороны". Для поддержки представителя Сербии РТС задействует все доступные ресурсы. "В этом году все иначе. Впервые, мы мобилизовали весь состав РТС, включая продюсеров, авторов, оркестр. Мы использовали все ресурсы для того, чтобы спродюсировать ту песню, которую наш представитель исполнит в Стокгольме, и подготовили все самостоятельно", добавляет Драган Илич. Представитель Сербии будет объявлен 7го марта в 13:00 местного времени на специальной пресс-конференции РТС. Я зализываю свои раны так много раз, что я смогу продолжать бороться.